Recent housing market data tells us home buying is well down this winter. 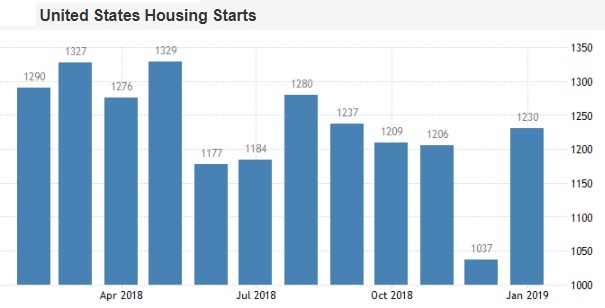 Yet for the multifamily sector, 2019 is a big year. 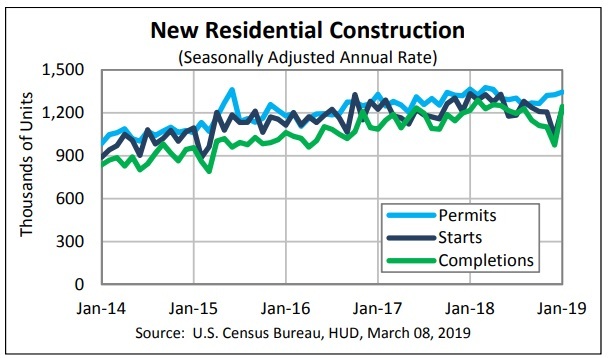 For rental property owners and property managers, the high growth in construction projects means plenty of opportunity, and a changing marketplace. Due to low affordability most prospective homebuyers will keep renting. The rising volume of rental apartments generates new challenges in portfolio management and management practices. Several research providers are predicting a big increase in apartment deliveries in 2019. It’s news that will resonate particularly well with property managers and those wanting to launch their own property management company. New property managers need these market changes to help them find new leads and get established. CBRE is forecasting a big growth of new apartment releases this year in both the US and Canada. The low vacancy rate and housing availability overall is creating excellent conditions for investors and managers. “New deliveries always mean an increase in competition, which can be good news for multifamily owners and for property managers who are able to be nimble and adjust their marketing strategies effectively,” Cindy Wick, regional VP at Western National Property Management – article in Globest. 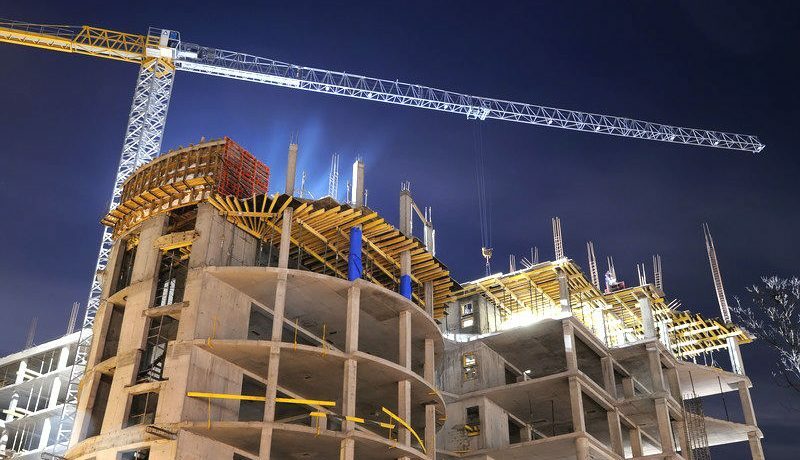 According to the report by Globest, 300,000 new apartment units will be released in 2019, a 15% increase over 2018 deliveries. CBRE had previously forecasted a 280,000 new multifamily units in its December report. CBRE’s Cindy Wick stated that owners and managers of existing properties will face pressures in competing with the new apartment leases. She advises upgraded amenities and better tenant service as keys to survival. She believes that out of all property management trends in 2019, that personalization is the top way old stock apartment owners can stay competitive. Wick also mentioned that property owners are relying increasingly on property managers for knowledge of markets, service expansion, and advice on cost savings. Boston is seeing an unusual increase in deliveries. In a report by the National Real Estate Investor, Simon Butler states that developers are builiding 20,000 apartment units in the Boston metro area. CBRE believes 11,859 new apartments will be released this year. 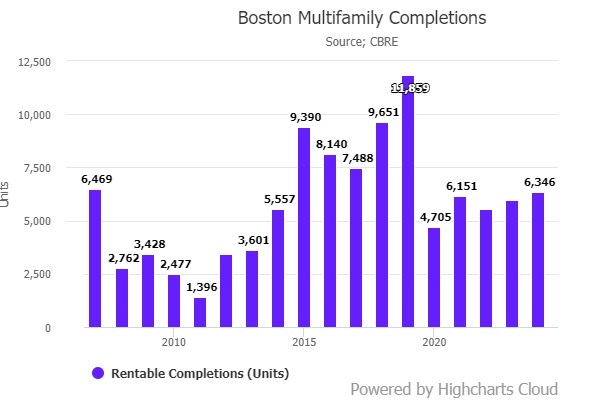 However, as this graphic shows, the forecast for 2020 new construction apartment releases in Boston drops by more than 50% to a total 4705 units. Uncertainty over the economy can impact whether many of these get completed and of the 2020 numbers as well. Boston has seen a big influx of people and the vacancy rates have been low. Almost 250,000 jobs were created in the last 5 years. Vacancy rate estimates run from 3.3% to 4.5% at the end of 2018. Boston rents are forecast to rise 1.4% in 2019. 7% of class A apartments were empty according to the report from Nreinonline.com. The city of Boston has set an aggressive goal of 185,000 new apartments by 2030. Their project reflects the need for millions of new apartments across the US by 2030. The Metropolitan Area Planning Council (MAPC) in Boston predicts 435,000 units of new housing are needed by 2040 to meet demand in Eastern Massachusetts. The growth in Boston reflects the rental market need and resulting new construction forecasts. Housing availability, high home prices and demographics are driving the demand for multifamily. Are you wondering which are the best cities to invest in real estate? Modern property managers have the advantage of using automation software to make large portfolios easier to manage. Many have tried big money solutions but have come up disappointed. Find out how you can instead choose the best property management software for your firm.